Jamestown, the first English settlement in the New World, is located on an island in the James River in Virginia. It is celebrated for its unique history and was entered as a National Historic Site in the 1930s. Today, after 400 years of Jamestown’s discovery, visitors can fully experience the complex story of the early settlers. Historic Jamestowne, the site of the original James Fort, is a major attraction that features numerous statues. It has a visitor center that provides insightful information about the colony. The Jamestown Visitor Center and Museum has an indoor theater and gallery exhibits chronicling the 17th century history. Several artifacts of the colonial era have been identified as evident from the exhibits of archaeologists’ accomplishments and uncovered artifacts. An introductory documentary on the Powhatan Indian, English and African cultures that influenced Jamestown settlement is filmed at regular intervals. The Jamestown Settlement, part of America’s Historic Triangle, houses replicas of the original fort, a Powhatan village, and the three ships that arrived in 1607 with the New World settlers. James Fort includes dwellings, church, storehouse, cape merchant office, governor’s house and provisioning areas. Powhatan Indian Village is an outdoor replica of the site once inhabited by Paspahegh Indians. It has many houses constructed from sapling frames and reed mats, a garden and a ritualistic dance area. Interpreters explain the early settlers’ life – food habits, tools, pottery, fibers, and so on. Jamestown Riverfront Discovery Area describes how the James River was used for travel and commerce. Visitors can board the ships – Susan Constant, Godspeed and Discovery – to explore and learn about the voyage from England. Discovery stations provide information on water transportation and other economic activities. Visitors can get souvenirs from gift shops that offer books, prints, artifact replicas, jewelry, toys and games. The Visitor Center has an education wing, two museum gift shops, open atrium for events, classrooms, offices and a café. The nearest airports are Newport News/Williamsburg International Airport, Norfolk International Airport and Richmond International Airport. 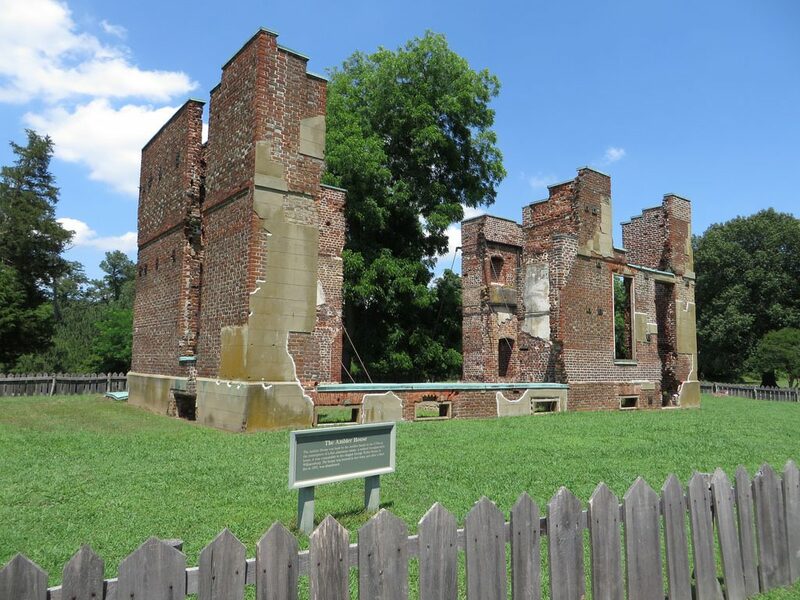 Jamestown is adjacent to Colonial National Historic Park, about 6 miles from Williamsburg. Located between Route 31 and the Colonial parkway, Jamestown is about 10 miles from Interstate 64 Exits 242A and 234. The Historic Triangle Shuttle, connecting Jamestown, Williamsburg and Yorktown, stops at major Jamestown attractions. Other public and private transportation services, including Amtrak and Greyhound, are readily available. There are several hotels near Jamestown. Williamsburg Manor is a six-bedroom brick Colonial home located close to the airport in the Williamsburg Historic Area. Rooms feature antiques, wood floors, oriental rugs, private bathrooms and queen-sized beds. Amenities include guest parlors, private garden, central air conditioning, television and breakfast comprising homemade Virginia delights and fresh brewed-coffee.